Medan- After 13 days spending time in the forest of Leuser National Park, Sumatra, Students of SOTA finally reached Medan in their final leg of their journey to acquire knowledge of biodiversity and appreciating nature.With minimal necessities available and within reach, students were pushed to their limits in being versatile and flexible in adapting to their spartan’s environment. The group spent countless hours trekking in the jungle of Leuser National Park and learning about the flora and fauna that existed in this UNESCO’s Heritage site. It participated in planting young shoots that the community of Halaban, Besitang nurtured from the seeds that they collected from the nearby primary forest. The group together with the community engaged in replanting those saplings on the rows of cleared land that had been identified for the reforestation program. They planted more than 300 saplings at this site. They continued the knowledge that they gained from Besitang by replanting another 200 young trees at Sg Landak near Bukit Lawang. Darma, who is one of the popular guide at Bukit Lawang, guided the group on its adventure there. He also shared the different uses of the plants found at the park. Through the group regular discussion, each individual shared their excitement in gaining more insights of the wonderful world of forest of Sumatra. They were also gifted with numerous sightings of Leuser’s famous icon, The Orang Utan. This program was organized and planned by IUVA for its BIODIVERSITY Program for Volunteers and is supported by the Yayasan Orang Utan Sumatra Lestari. 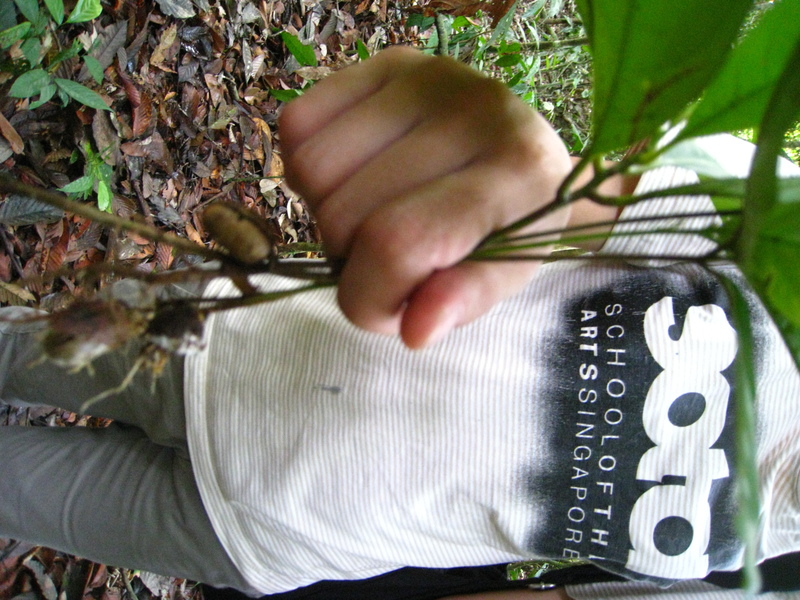 Seeds collected from the forest floor.